This is the best time to make pickles because cucumbers are in season. I make my 3-hour bread & butter pickles with either Kirby cucumbers (the pickling bumpy kind) or Persian cucumbers (seedless with a smoother skin) and today I found some beautiful fresh Persian cucumbers that were fresh and crisp and bright green. So no matter what kind of cuces you use, these three-hour pickles could not be any easier. They really are ready to eat in three hours! 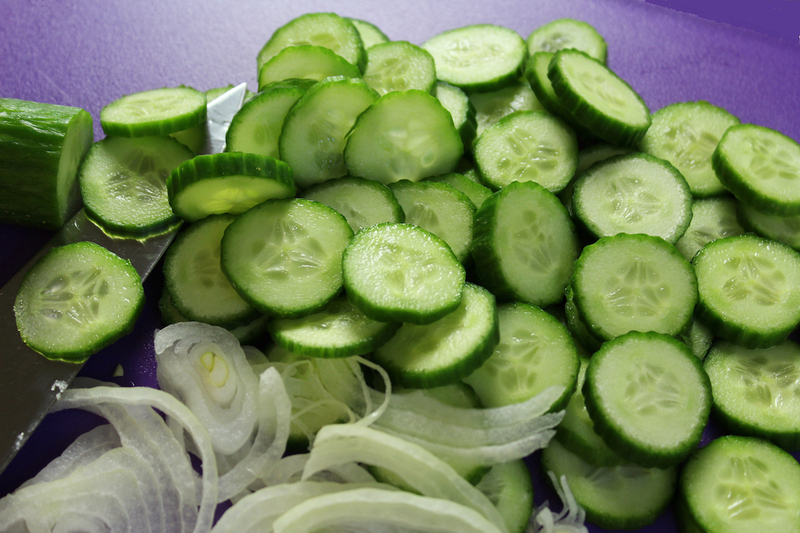 All you need is the cucumbers, some sliced onion, white vinegar and three spices besides sugar and salt. Sometimes I slice the cuces thinly, other times a little thicker and they are always crisp and tangy. I’m making them for the Memorial Day weekend to have with my fall-off-the-bone ribs and potato salad… or with a salmon sandwich.. or just as a snack right out of the jar. I love these pickles! One Comment on "Persian Pickles"
Perfect timing Jenny, I’ll make these tonight. Thank you and have a GREAT weekend!